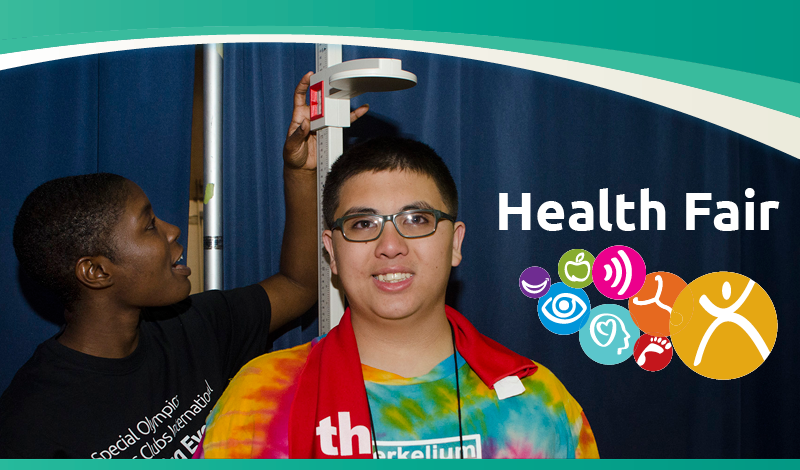 Join us for a day of free health screenings, fun activities and giveaways at the Special Olympics Northern California Health Fair! All Special Olympics athletes, and those who are interested in becoming an athlete, are encouraged to come. Complete all of the Healthy Athlete screenings and be entered to win a prize! Fit Feet Meet with our sports experts to check your feet, balance, and walking/running in a fun motion lab. Healthy Hearing Receive a hearing test and learn how to take care of your ears. Health Promotion Talk with nutrition and physical activity professionals about your important health numbers (blood pressure and body mass index) and what to eat before and after a sports competition. Opening Eyes Get a free eye exam and take home a pair of new glasses. Strong Minds Learn relaxation skills through the movement mediation art of Qigong. In addition to the free health screenings, come meet our community partners. Please register online before March 1st. All participants under the age of 18 must be accompanied by an adult. Exit onto Hawthorne Avenue and cross the street. Walk onto the HEC building pathway and follow it to our front entrance. If you have any questions, please contact healthyathletes@sonc.org.